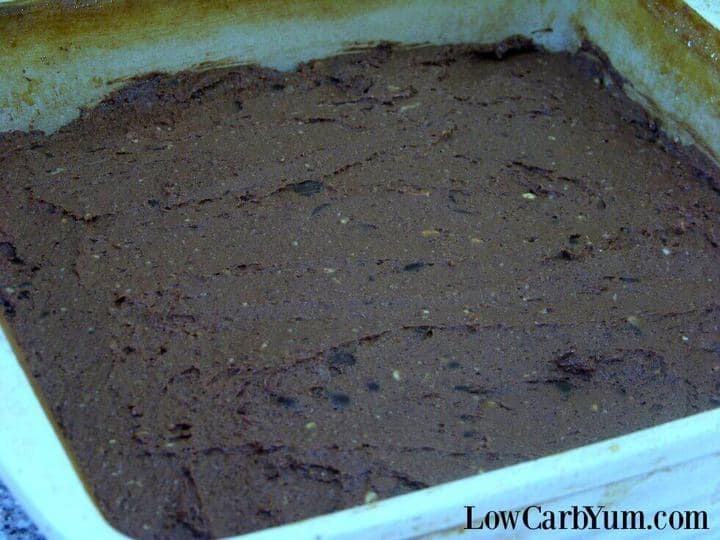 Fudgy low carb black bean brownies made with soybeans. 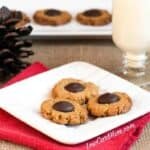 The recipe is quick to prepare so you’ll be enjoying this low sugar chocolate treat in no time. At the beginning of last year, I was experimenting with baking gluten free brownies and cakes using canned beans. 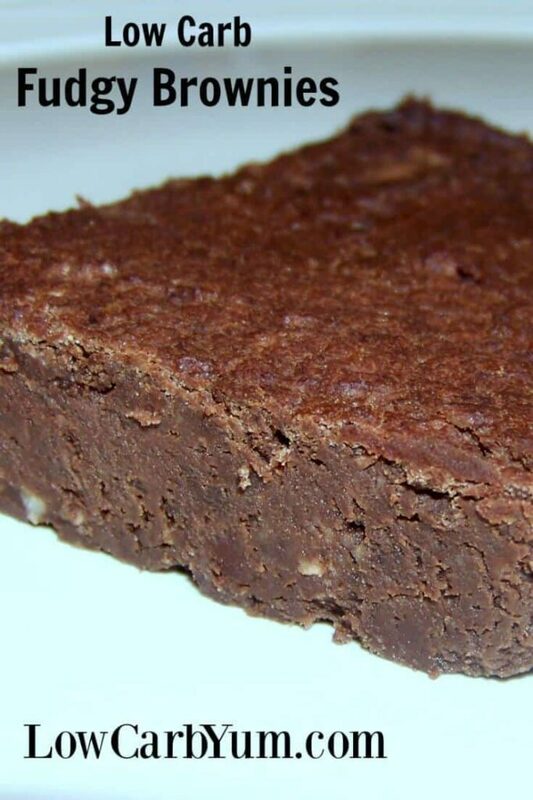 During that time, I came up with a decent recipe for rich fudge brownies made with black beans. My family loved them and they would never have guessed that there were beans in it if I hadn’t told them. While I was looking through my old recipe files this past weekend, I found that black bean brownie recipe. 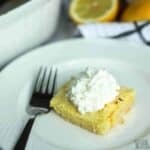 I wasn’t following a low carb diet when I wrote the recipe so it needed to be tweaked a bit. 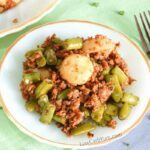 I know that black soy beans are very similar to black beans without all the carbs so it was an easy substitution. I also switched out the agave sweetener to something low carb. Other than those changes, the recipe is the same as the original. 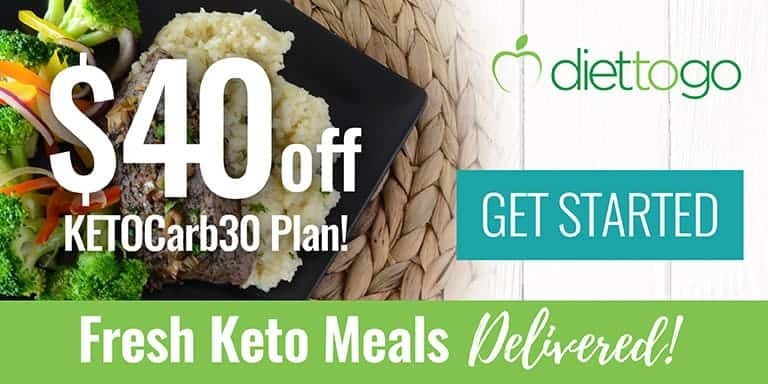 Based on what I remember the higher carb batch tasting like, this low carb version is almost identical thanks to the sweetening power of stevia and erythritol. 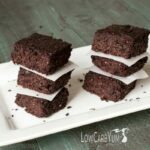 If you like a dense chocolate brownie, you will love this recipe for low carb black bean brownies. It is a moist fudge brownie, not one that is more like cake. 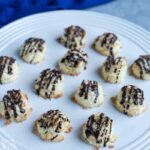 The instant coffee that is added to the mix really enhances the chocolate flavor. The brownie batter is very thick and it will need to be spread in the pan with a rubber spatula. And, it bakes up with that crisp cracked top that you get with regular brownies. I decided to have a treat and put a scoop of low carb vanilla ice cream on top of a warm brownie square after it came out of the oven. 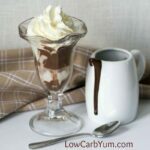 With a little whipped cream on top, it was as good as a hot fudge sundae. Some of you might be worried about soy. But, I don’t see any issue with having it on occasion. 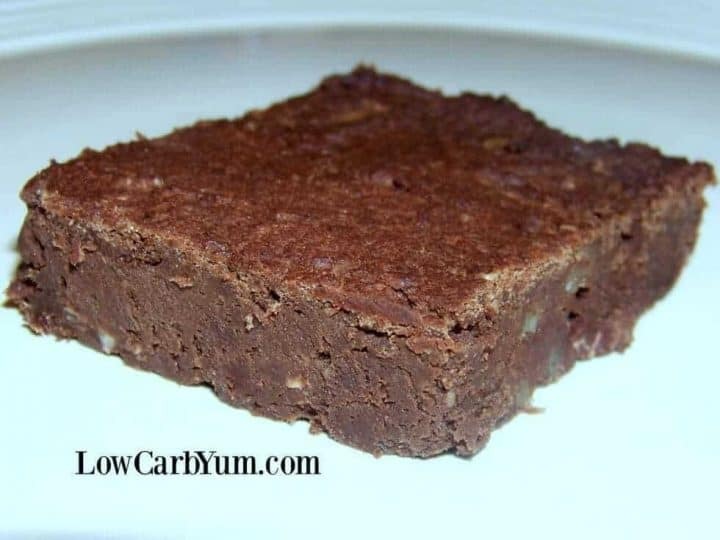 Black soy beans are a fantastic low carb food and they are the secret to getting fudgy low carb black bean brownies without all the carbs. I’ve also used soybeans for baking cake like chocolate cookies. 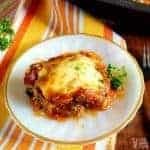 They also make a delicious low carb refried beans dish which is perfect for using in a layered taco dip. 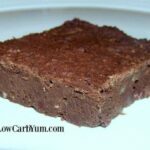 If you want dense and fudgy low carb brownies, you must give this one a try. 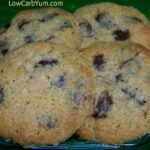 You can also add in some chopped walnuts or homemade chocolate chips as well. These little treats definately satisfied my chocolate cravings. And, I even caught my husband and kids sneaking into the stash. 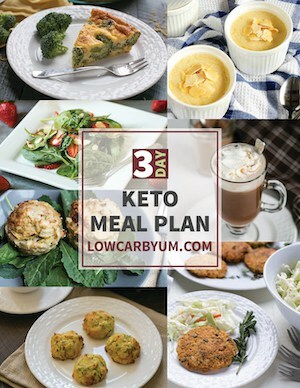 So, this is a great little snack that might win over those not following a low carb diet. I hope you enjoy these brownies as much as me and my family did. Next time, I may try making a healthier chocolate cake with the canned black soybeans. 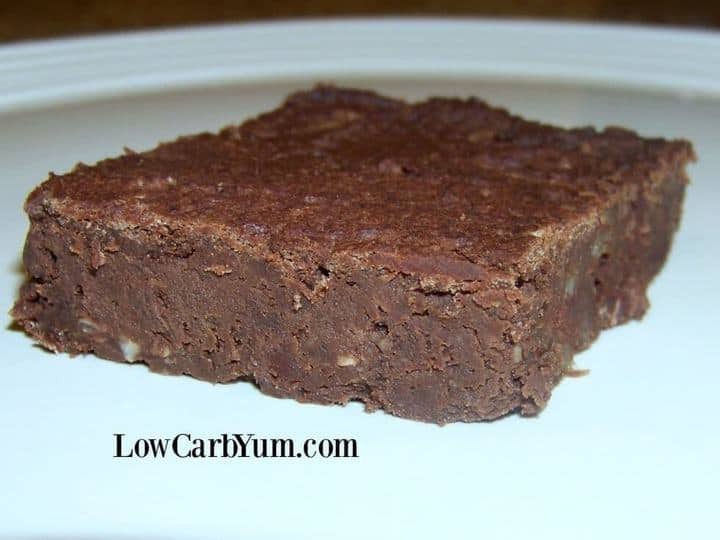 Gluten free brownies made with low carb soy beans. 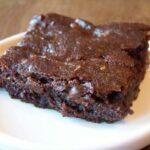 This recipe for black soy bean brownies is quick to prepare and no one will taste the secret ingredient. Place the black beans in the bowl of a food processor; process until smooth. Blend in the butter. Add the 2 eggs, 1 at a time, mixing well after each addition. Mix in vanilla. In separate bowl, blend erythritol, stevia, cocoa powder, instant coffee, and baking powder. Stir in cocoa powder mixture, nuts, and chocolate chips into bean mixture. Blend until smooth. 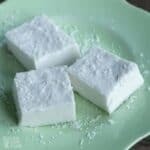 Spread into greased pan and bake 25-30 minutes in the preheated oven, until a toothpick inserted into the center, comes out clean.